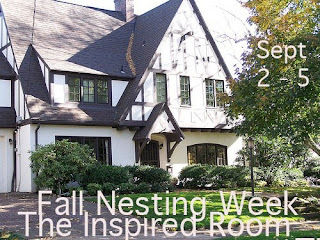 Fall Nesting Week is back at The Inspired Room! 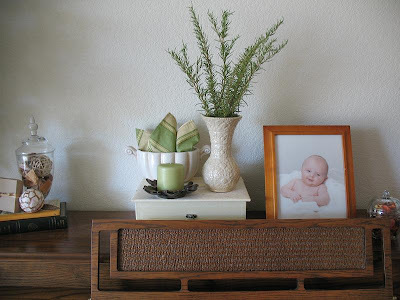 Last year, Melissa forced persuaded me to get with it and decorate for Fall during her Fall Nesting. It was my first attempt at any seasonal decorating other than Christmas. 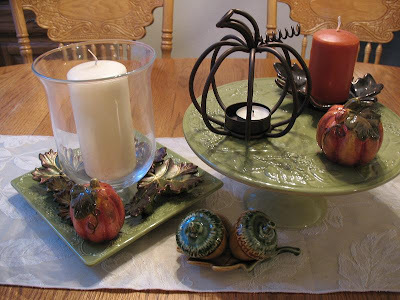 I'm still not a great decorator, but I am having fun with trying to decorate for the seasons (doing it as cheaply as I can is part of the fun!). So this year, I prepared even though the temp outside is in the 90's and the sun is shining bright. My family and friends that live around here have mentioned to me that it is in fact, summer according to the calendar and our weather. Not according to Melissa, I say! Come on in and take a look around! 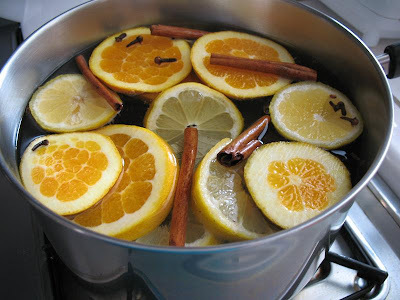 The potpourri is simmering on the stove (recipe from Blessed). 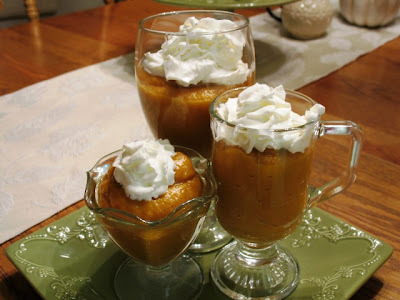 or maybe some Pumpkin Pudding! and here's how I changed it a little for Fall. 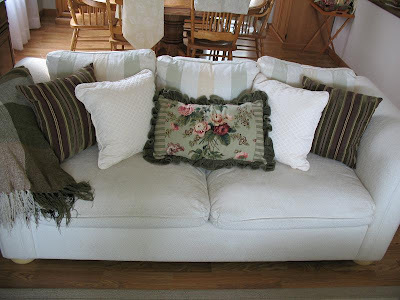 Added some dark thrift store pillows & throw to the other couch. I like to add fresh rosemary since we have a huge bush of it in the front yard! And yes, that's a pic of my chubby babe who turned 10 last month - sigh. Gotta have some apples around! I like to mix the orange with crisp white. My centerpiece is still a work in progress. I was thrown off because the grocery store does not have pumpkins yet - you know, because it's *ahem* summer here. It's about time I put out a little chocolate display! Let's pretend like I didn't write that sign in 3 seconds and that my "v" and "r" don't look exactly alike. :) While we're at it, let's pretend that those same chocolates will still be here next month. 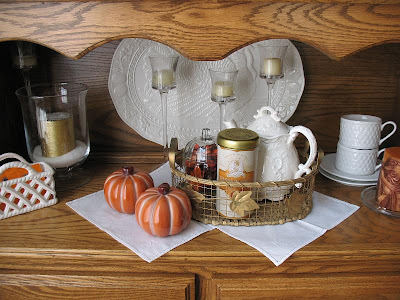 Last year, I enjoyed the Fall fun so much that I hosted a Pumpkin Potpourri Week! 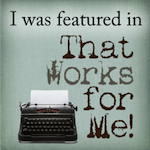 It was such a hit that I will be having another Fall-themed week at the end of this month. It will feature Fall fruits - like pumpkin (yup - has seeds so it is a fruit! 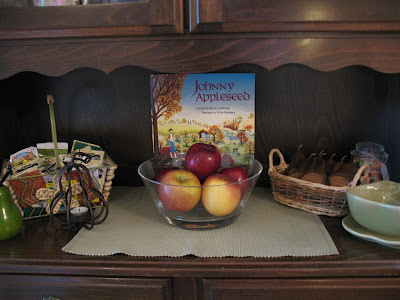 ), apples, and either cranberries or pears. I'm still working out the details, but come back for the fun! And if you enjoyed your goodies, then come by tomorrow (Friday) for Dessert Friday! 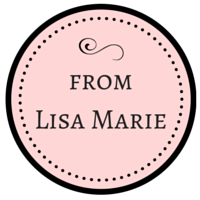 I'll be sharing a recipe and letting you link up your yummy dessert posts! Thanks for stopping by! I hope I've inspired you to try a little Fall decorating if you haven't already! 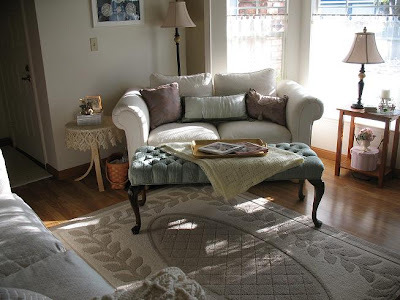 You must head over to The Inspired Room and look at all the Fall posts linked up - you will definitely get a Fall feeling! Have a fabulous Fall day! Big I'm pretending that you sent me all that chocolate AND the sign size hugs to you! Scrumptious post! 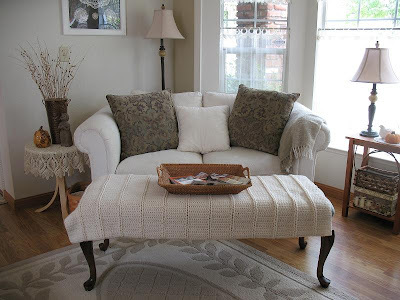 I'm ready for Autumn and loved seeing your inspiring photos! Great post...made me miss Fall up north. It's so hot down here in Florida. Anyway, thank you for taking me away! 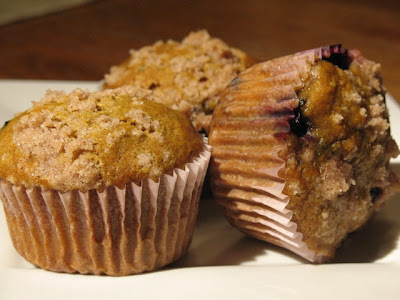 Hi Lisa, I will have to try that Pumpkin/ blueberry muffins they look yummy. 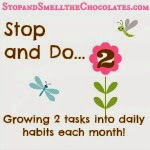 I am starting a Menu blog hop on (http://auntieecookbook.blogspot.com) Auntie E's Kitchen site. New name and new stuff. Why not link one of your desserts on it? I so love those recipes. What fun! We just cleaned our basement and I came across my fall decorations. I thought it's about time to get those out! Pumpkin pudding sounds very tasty...I've never heard of it! Ok...you are a decorator!! Your house is GORGEOUS!! 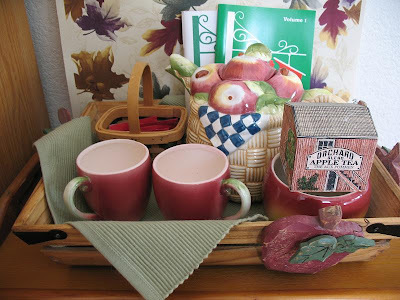 I'm trying to wait patiently to go up to Apple Hill and Bishops Pumpkin Farm where I usually find a few "trinkets" for Fall decorating. Well done! Ok, you've done it again...I'm inspired! Too funny that the supermarket does not have a supply yet because they think it is summer. 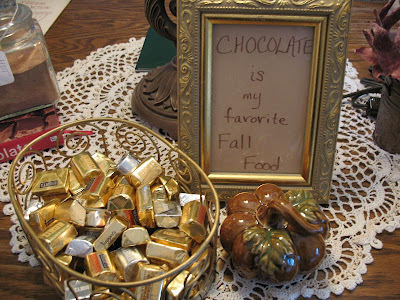 Fall is such a lovely time of year and a great theme for a blog party.